A German minister says Twitter is the only way to learn of US President Trump administration’s decisions. American citizens too have to count on Trump’s tweets to learn of White House decisions. Online news and Social Networking platform Twitter is every now and then the only way to learn of US President Trump administration’s decisions, a German minister has criticised. American citizens are in no improved position, they too have to count on tweets to learn of White House decisions. German Foreign Minister Heiko Maas said that “we learn of certain decisions via Twitter. The top diplomat has an impression that “people in the United States also learn about White House’s decisions from Twitter,” and that such “does change cooperation between countries”. 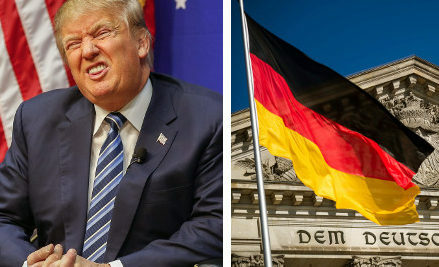 Taking a dig at US President Donald Trump, German Foreign Minister Heiko Maas said, “We learn of certain US decisions via Twitter,” adding that it “does change cooperation between the countries”. He further said that US citizens also have to rely on Twitter to learn about the White House’s decisions. US-German relations are the historic relations at the official level, including diplomacy, alliances and warfare. The area also includes economic relations such as trade and investments, demography and migration, and cultural and intellectual interchanges since the 1680s. At the moment, the United States is one of Germany’s closest allies and partners outside of the European Union. The people of the two countries see each other as reliable allies; however, they disagree on some key policy issues. Americans want Germany to play a more active military role, but Germans strongly disagree. What Bill Gates Thinks Of Trump’s Administration? Why Does Theresa May Listen To Trump? Previous StoryWhy Brussels Airlines Decided To Stop Its Services To India?